eXpansys USA has now also cut the price on the latest Google Android flagship, the Samsung Galaxy Nexus, and is now offering the handset for only $399.99, matching the price of the handset on Google Play. Just like on Google’s market, the eXpansys is offering an unlocked GSM version of the Galaxy Nexus that will work on both AT&T and T-Mobile. The GSM version - of course - won’t function on the nation’s CDMA carriers such as Verizon Wireless and Sprint. Considering that up until now the handset sold for $549 or more off contract, this is a great deal on the latest Nexus. The handset features Android 4.0 Ice Cream Sandwich, has a spacious 4.65-inch display with an HD resolution, and rocks a 1.2GHz dual-core TI OMAP4460 chip. There’s also one gig of RAM and 16GB of internal storage. The only somewhat sub-par features is the 5-megapixel camera which doesn’t quite match other high-end Androids, but is still a decent offering. 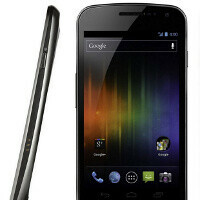 Check out our in-depth review of the Galaxy Nexus and make up your minds - that prices will certainly help. Samsung is lowering the price in preparation for the Samsung galaxy s 3 obviously. The nexus is going mid-range with the galaxy s3 about to take over. And i agree with you my friend, as you said the average consumer cares about price, but then again everyone has their own preferences, mine being the most powerful device on the market, while say a middle aged man would go with the nexus because of the price. xD just an example. nothing meant offensively. Speaking as at least a middle age man, I'd rather have yesterday's leading edge hardware with leading edge OS updates than leading edge hardware with updates that may or may not show up depending on the OEM's and carrier's whims. Cost isn't an issue for middle age men and their toys. wow man... thats a great deal. i wish some one could offer this to international users. I bought the Galaxy S II there when it first came out and their customer service is great. I received my phone withing 3 days.